Take note of the information presented in a prescription, including: power, base curve, diameter and brand name. 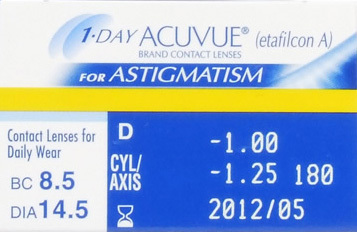 Bifocals and astigmatism prescriptions typically have additional information. Locate the brand name of the contact lens.